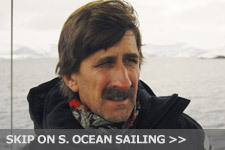 He is frequently asked to comment on high latitude adventuring and ocean sailing by radio, TV and print media and is a regular contributor to many sailing magazines worldwide, including several stints as a columnist for the Daily Telegraph in London. He currently has a monthly column for Yachting World magazine. 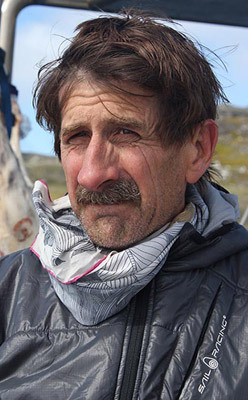 In March 2015 Skip was awarded the prestigious Blue Water Medal from the Cruising Club of America for his life time of voyaging to high latitudes and, in January of 2016, the Royal Cruising Club in the UK awarded Skip the prestigious Tilman Medal (Bill Tilman, famous mountaineer and exploratory yachtsman) for his lifetime of leading sailing to climb expeditions in high latitudes. Skip sits on the Panel of Experts that vets expeditions to South Georgia on behalf of the South Georgia government. He also served on the Executive Committee of IAATO (International Association of Antarctic Tour Operators) from 2012 to 2017. ‘Edd’ Hewett, born in 1991, grew up in Buckinghamshire, England, far from the sea, but he achieved his Yachtmaster License by the age of 18. Most of Edds work has been aboard cetacean research and marine conservation vessels tracking and studying marine mammals with minimal disturbance all over the North and South Atlantic and adjoining seas. This work has taken him to both high and low latitudes and involved passages of up to five weeks on survey between landfalls. Along the way Edd has developed a passion for the oceans' wildlife and not an inconsiderable knowledge of its inhabitants but he has also learnt that he has a strong preference for high latitudes and cold weather. A short break from the marine conservation work saw Edd join Pelagic Australis as Mate for an unforgettable season in 2012/2013 working on trips to South Georgia and Antarctica. After returning to his usual work Edd gradually rose through the ranks and gained extra qualifications before taking on the role of Skipper and Manager of an 18m Research Vessel in the challenging but breath-taking seas of the Hebrides with Charly as Mate in 2015. However, after 3 years of this Edd and Charly were ready to get back out into the deep ocean and set sail for the Falklands. Crossing 100 degrees of latitude to get there they have now re-joined Pelagic Australis as Skipper and Mate in 2018. 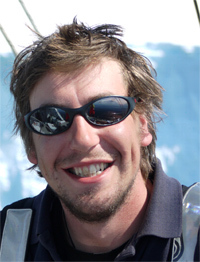 ‘Charly,’ also a qualified Yachtmaster and professional skipper, grew up in Oxfordshire. She spent her childhood as a Sea Cadet on the River Thames and went on to join the Royal Navy when she left college. She then joined the sail training brig, T.S Royalist. Her role was to teach the young people how to sail and to supervise them in the rigging as they handled the square sails. The ship was then decommissioned and a brand new T.S Royalist was built in Spain. Charly spent six months rigging the new vessel and was employed as a Watch Officer and relief Bosun during her first season. Afterwards Charly went on to work with Edd as 1st mate on the whale and dolphin survey vessel ‘Silurian’. Enjoying the freedom of being self employed, Charly was then also able to sail a large variety of other sailing vessels and gained a wide range of experience over the next few years. Her latest adventure was the sail from the UK to the Falklands. Her favourite hobby whilst sailing is Celestial Navigation and she particularly enjoys helping others ‘learn the ropes’. Alec Hazell, born in 1979, grew up in Falmouth England, sailing on a variety of local boats and diving the many wrecks in the area. Alec has travelled extensively through southern Africa where he qualified as a pilot for light aircraft. Returning to the UK he trained and worked as a commercial diver for a number of marine engineering and salvage companies. Returning to Mozambique in 2001 he ran a game fishing and diving camp for two years. In 2003 he took his RYA Yachtmaster Offshore course in Durban and that same year sailed as first mate on the new Pelagic Australis on her delivery from Cape Town to the Falklands and for her first southern season with skipper Steve Wilkins. In the northern spring of 2004 he helped deliver Pelagic Australis to the UK and then was the first mate on Pelagic Australis’ first northern summer in Norway and Spitsbergen with skipper Rich Haworth. 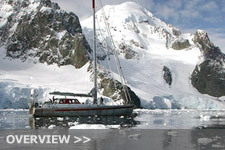 Sailing back south again in September 2004 from the UK to Stanley, he then crewed with Jerome Poncet’s Golden Fleece to South Georgia and the Antarctic Peninsula followed by skippering the original Pelagic for charters in Tierra del Fuego during March and April. 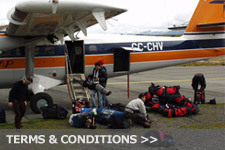 In 2005 he was again on board for Greenland during Pelagic Australis’ second Arctic season. For three subsequent years he and his South African wife Giselle, a scuba dive instructor, have been working with Skip on Pelagic Australis for the Cape Town refits during the southern winter and skippering Pelagic during the summers based from Stanley. In February and March 2008 they spent two months on Prion Island contracted to the South Georgia government as support vessel for a construction crew to build the Prion Island boardwalk through the Great Wandering albatross colony. In 2014, after a five year hiatus farming in the Eastern Cape they have returned to the sea refitting a Van Der Stadt 35 footer for themselves and freelancing for Pelagic Expeditions on refits and special projects. In 2015 they completed a five month extensive refit on Pelagic in Cape Town. After another southern season on Pelagic in 2016/17 they have now moved on to Pelagic Australis for a multi year commitment. Kirsten Neuschafer was born in 1982 and raised in South Africa, Kirsten has always loved the outdoors and adventure, in particular water-sports. After finishing school, she spent a few nomadic years in the North doing various different jobs in between travels such as working in ski-resorts, wilderness guide on Spitsbergen, training sled-dogs in Scandinavia – and other jobs that allowed her to discover colder climates. She eventually returned from Europe overland to South Africa, on a bicycle. Once back home, she decided to take to the seas, so in 2006 she got her Yachtmaster ticket and started to instruct sailing in East London, as well as doing deliveries along the South African coast. She went on to doing international deliveries of different types of sailing vessels to various international destinations, developing a particular liking for Southern Ocean crossings. In 2014 she crewed on Pelagic for the first time, and has been returning every season in between working for the polar logistics division of a German geological institute on expeditions to Ellesmere Island, as well as Terra Nova Bay in the Ross Sea. In the 2016/2017 season she was the mate on Pelagic Australis. 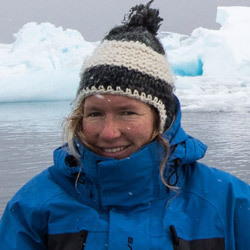 In 2017/2018 season she has skippered Pelagic on a trip with National Geographic to South Georgia and a trip with the BBC Wildlife Unit Bristol to the Antarctic Peninsula. A life long sailor of dinghies and yachts of all sizes, Magnus has been travelling and working in the Arctic and Antarctic since 2005. 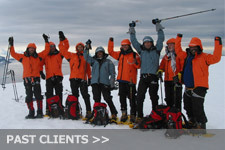 Sometime crew and long term captain of Pelagic and Pelagic Australis as well as other yachts working in Antarctic waters was the best possible training for leading boat based expeditions to remote destinations. In 2015 Magnus was headhunted by EYOS Expeditions to run High Latitudes, a subsidiary specializing in small to mid size vessels, for consulting to yacht owners and Captains with ambitions to explore the icy wastes at either end of the globe. High Latitudes works with the best in the industry to provide design and refit support, specialist crew, permit application and management and logistical solutions. 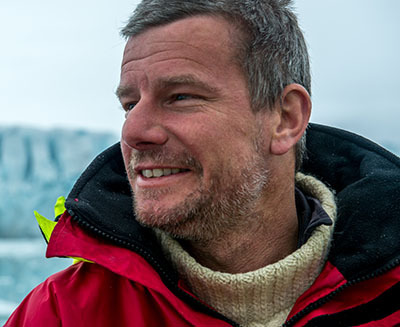 Magnus works as ice pilot to some of the world’s best known sailing superyachts and has sailed extensively on the Antarctic Peninsula as far as 68S in Marguerite Bay. 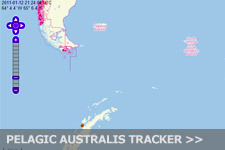 He also knows South Georgia and the Cape Horn archipelago well. In the North, project destinations include Alaska, the Northwest Passage, Baffin and Labrador, Greenland, Iceland and the Svalbard Archipelago up to 82N. Outside of the polar world Magnus offers design, build, management and crewing solutions to private clients and explores with his own boat Baltazar. 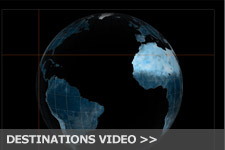 Contact: magnus@highlatitudes.com or magnusoffshore@gmail.com. Born in South Devon in 1986, David is from a sailing background and has sailed as long as he can remember. Starting with competitively racing dinghies and occasionally on racing keelboats at regattas, David decided to take a gap year from university to do some yacht deliveries and after delivering a variety of yachts and gaining valuable offshore experience, a career in sailing has resulted. 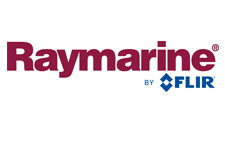 David is a commercially endorsed Ocean Yachtmaster with the RYA/MCA. 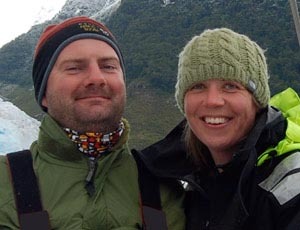 From October 2010 until June 2012, David was crewing on Pelagic Australis with Miles and Laura Wise. 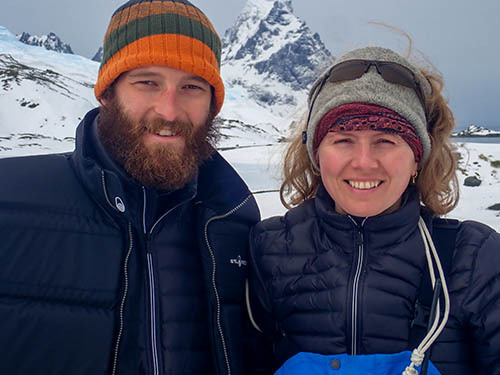 After these two amazing seasons including trips involving tourism, supporting ski touring expeditions and a film charter, he has caught the “Southern Ocean Bug” and can think of nowhere he would prefer to be. With Skip's encouragement David agreed to take over the reins of Pelagic in October 2012. In the 2013/14 season he skippered Pelagic for a four month charter with the BBC filming Gentoo penguins at Port Lockroy. In August/September 2014 he skippered Pelagic Australis for her winter trip to South Georgia. In 2015 he will be stepping up to the big boat for a three year commitment. 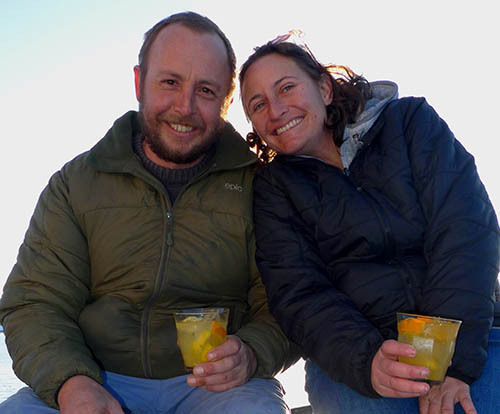 Miles and Laura Wise have been working for Pelagic since October 2008. The first two seasons on the original Pelagic, and then running Pelagic Australis since April 2010. Miles, born in 1979, was brought up on a farm in North Yorkshire, England. This has given him a love and understanding of wildlife and the countryside that has been enhanced by his experiences in the South Atlantic and Iceland. 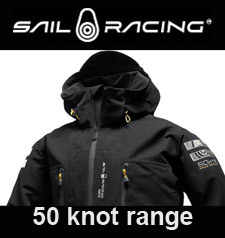 His sailing started in 1993 with racing on the East Coast of England in the North Sea, and he then went on to train as a professional skipper and qualified in 1998. He is now an Ocean Yachtmaster, MCA medically trained, and has engineering and dive qualifications. 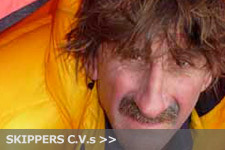 Miles worked for Challenge Business between 2002 and 2005, when he fulfilled numerous roles: adventure sailing in Iceland, and on the west coast of Scotland for 2 summers, training race crews in the winter, and refit work in the yard. In 2005 he trained crew and raced in Tall ships with a youth team from Northumberland. 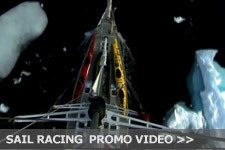 From 2005-8 he skippered for Ondeck Sailing on Farr 65’s in the Carribean, transatlantics, and the UK, as well as freelance work for other sailing companies such as Mike Golding Yacht racing and White Ocean Racing. Laura, also a qualified yachtmaster, has been sailing since 1997. She completed the 2000-2001 BT Global Challenge as Watch Leader on the winning yacht LG Flatron. She has competed in several Fastnet races - one double handed - and the Round Britain and Ireland Race in an all female crew as 1st Mate. Since sailing round the world, Laura has been a leadership consultant working with a variety of different organisations to develop their leadership and team working skills and is also a qualified Maths teacher. Born in 1965, Chris has had a life-long interest in the sea and sailing in particular. Being a 5th generation Falkland Islander gives him a deeply rooted history in the South Western Atlantic. His ancestors have worked and sailed the area for almost 200 years. He has been messing about in boats, when he could, for most of his life and sailing seriously since 2000 when he took his first course, the RYA Day-skipper practical, during a spare week while travelling in Europe. 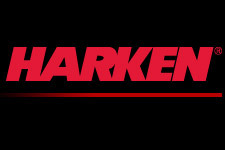 Since then he has qualified as a Yachtmaster Ocean with commercial endorsements. 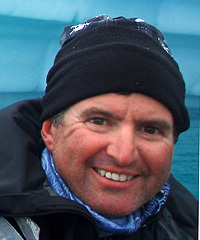 Chris has been working with Pelagic Expeditions since November 2007. Prior to becoming a full-time sailor Chris trained as a carpenter on leaving school but left that profession to study electronics and telecommunications. He worked in the telecommunications industry until leaving to pursue sailing in 2007. Chris was also a volunteer fire-fighter and a soldier with the Falkland Islands Defence Force for many years. Chris has purchased his own yacht in 2012, but continues to manage the refits of Pelagic Australis in Cape Town.